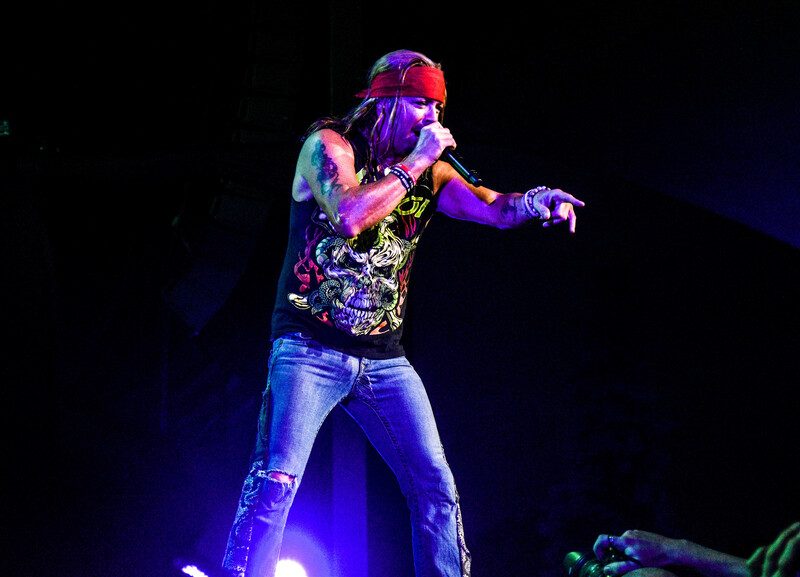 The Darien Lake Amphitheater came alive with the sights and sounds of Poison Tuesday night. 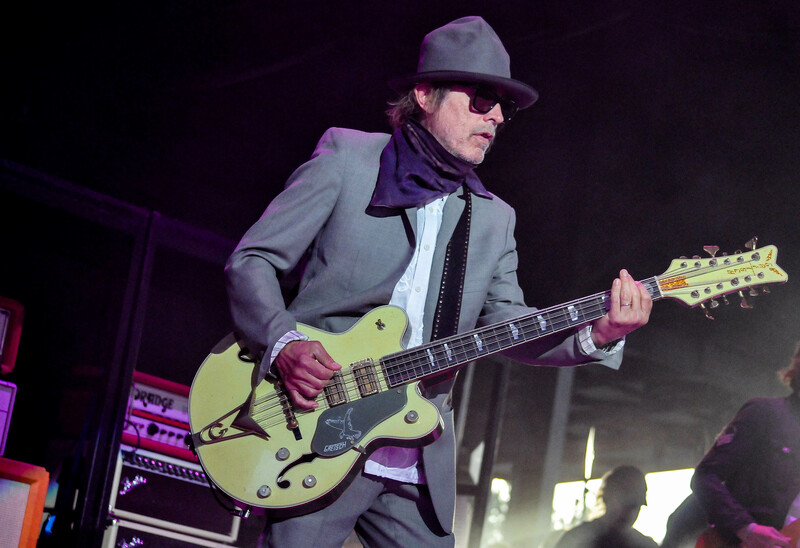 Along for the ride were power-pop masters Cheap Trick and Pop Evil who seemed a bit out of place. 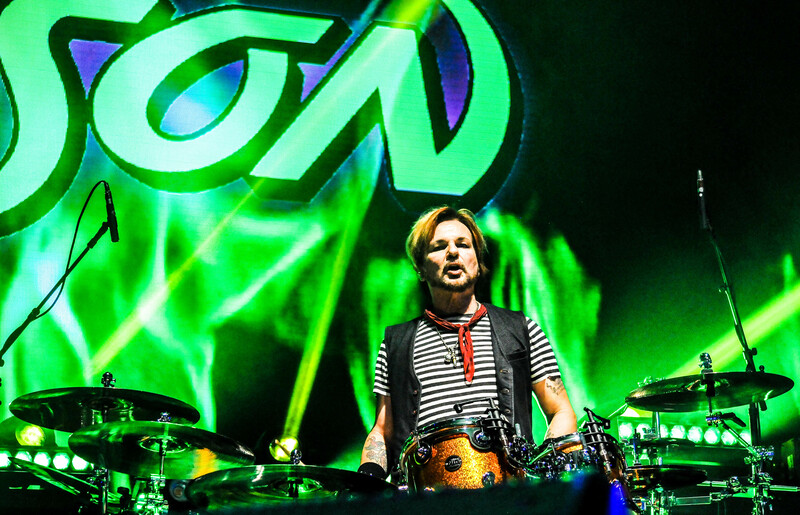 The show was the first headlining appearance at the venue for Poison since 2007 and was their first appearance at the venue since 2012. 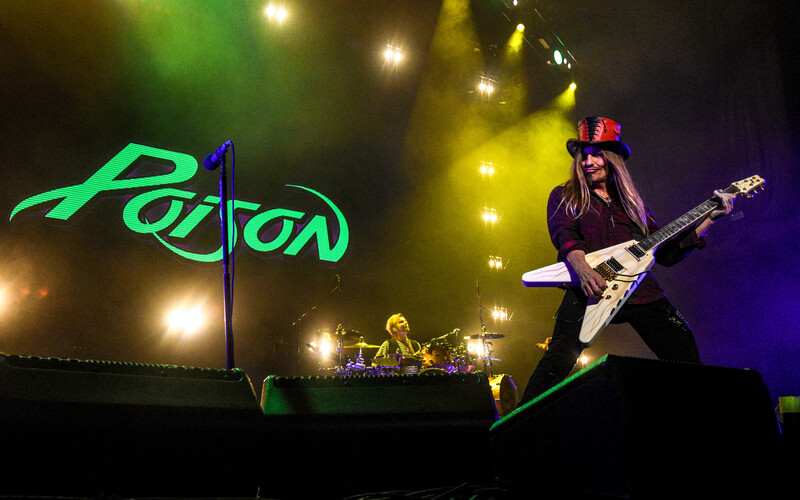 Poison let it all fly loose early on as the self-professed kings of glam metal took to the stage with “Look What The Cat Dragged In” their traditional opener. In fact, I can’t ever see them opening with anything else. 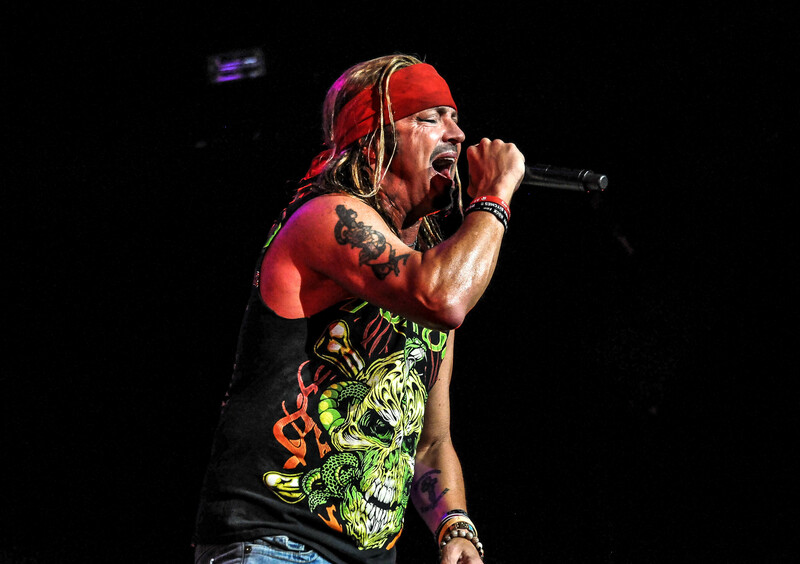 From there “I Want Action” greeted the Darien crowd as singer Bret Michaels thanked the faithful audience for years of support. 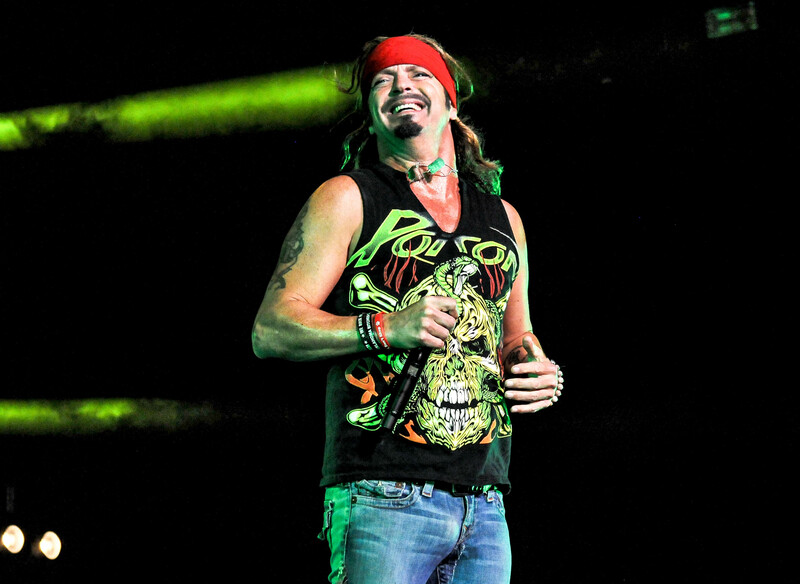 Poison was the first headlining act to grace the venue’s stage when it opened in 1993. 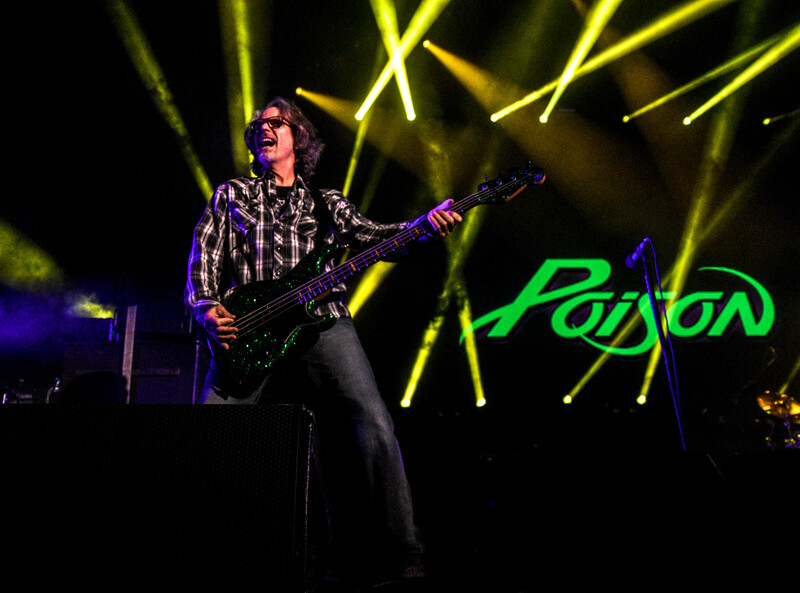 Michaels has always loved playing the venue and Tuesday night was no exception as he noted early on during the band’s 80-minute set. 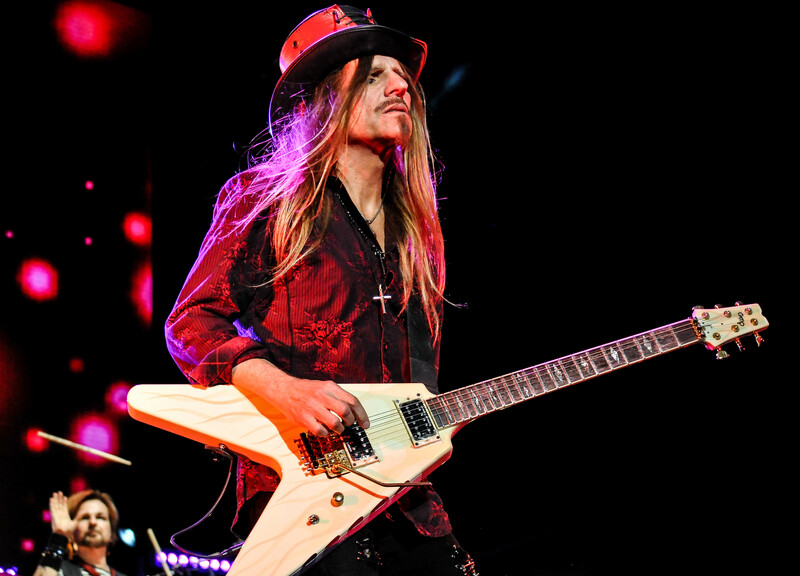 “Ride the Wind” completed the trifecta as Michaels perhaps a little exuberant stated that they seldom play the song (it has been on every Poison tour with the exception of 2000). No doubt this is one song that should be played every night. 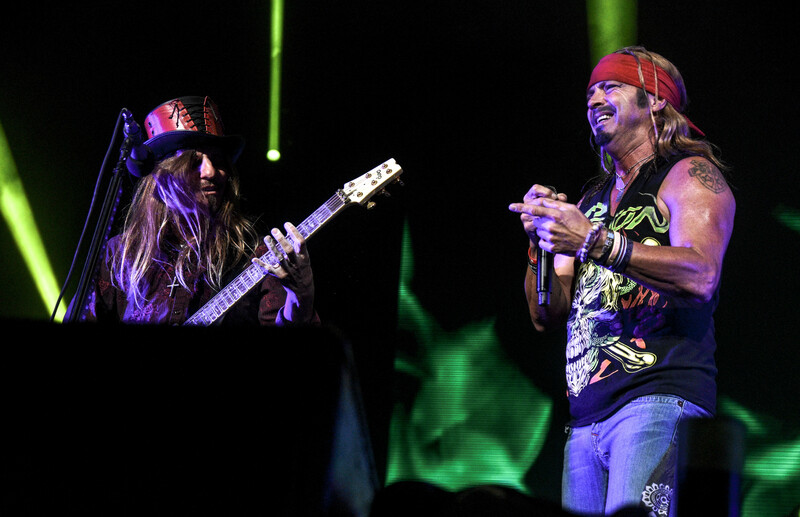 As far as the rest of Poison’s set… it was your typical Poison hits set. Too bad the band didn’t reward their longtime fans with a rare selection such as “I Won’t Forget You”, or “Cry Tough”. The sets the past few tours have seemed quite mundane especially with the bands shorter sets when opening for Def Leppard. Being the headliner once again would have been a good time to give the set a much-needed tune up, perhaps next time. 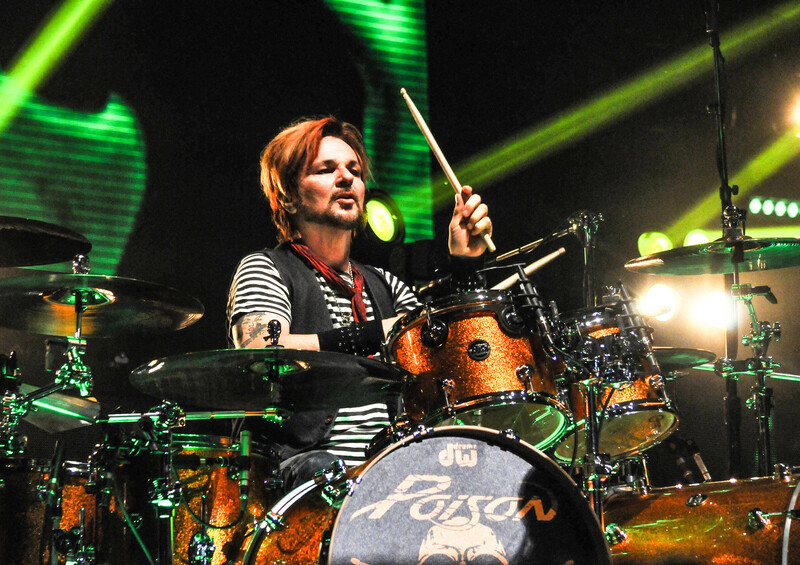 One of the positives Poison does have is still boasting the original lineup of Michaels, drummer Rikki Rockett, guitarist CC Deville and bassist Bobby Dall. Given how often they performed the hits over the years they sound real tight. They also used a high-tech video screen which was positioned dead center stage that flashed many images and live shots throughout the show. 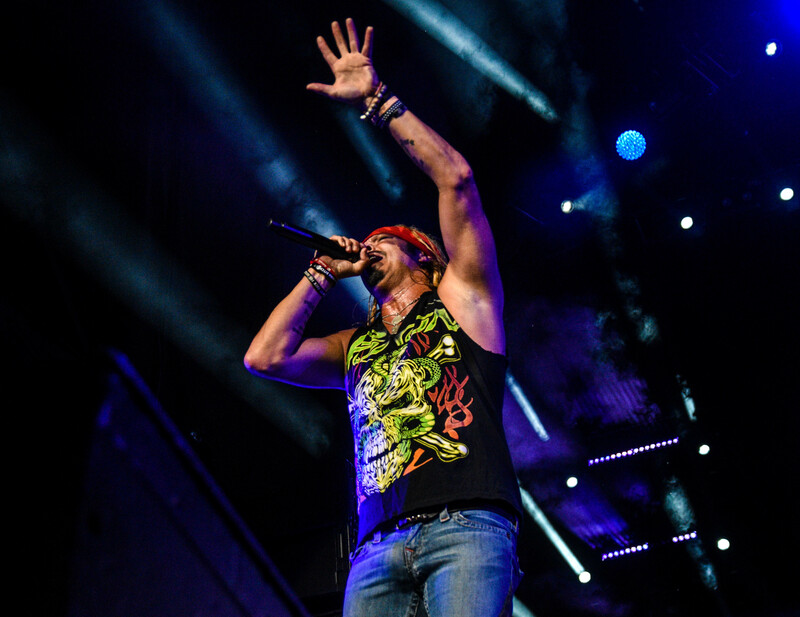 This was the band’s 5th last show of the 30-date tour. 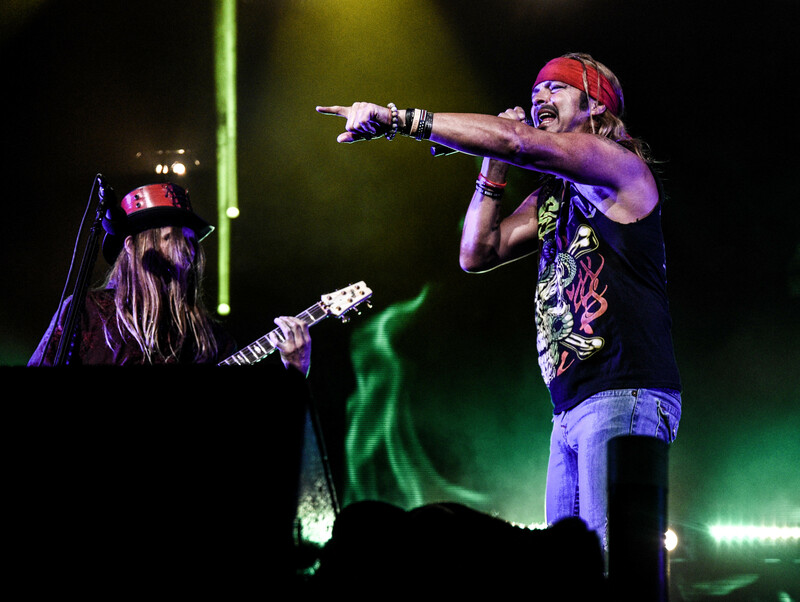 The band still managed to put on their high energy, good-time live rock and roll show to the masses. 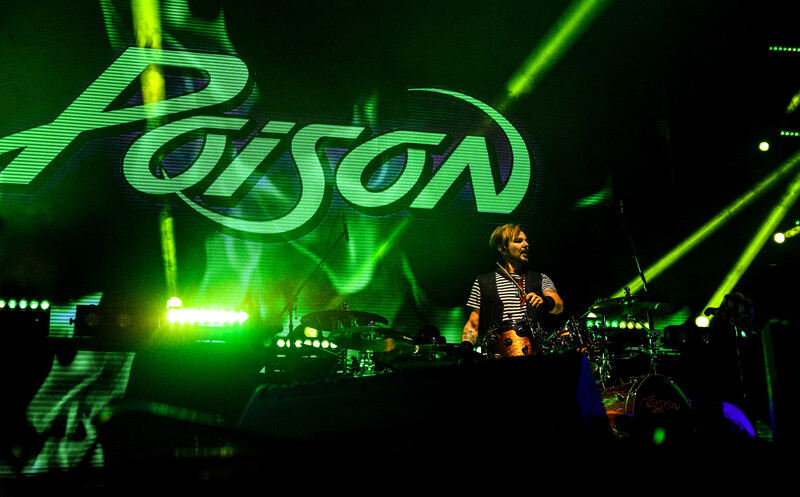 One thing you can say about Poison is they always give 110% each and every time out. 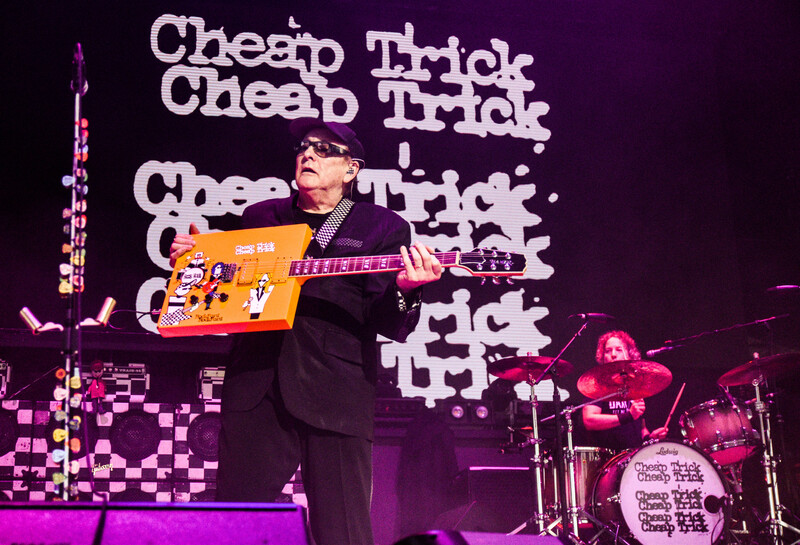 Cheap Trick on the other hand did what poison fans can only dream about and delivered a set full of surprises mixed in with their biggest songs. 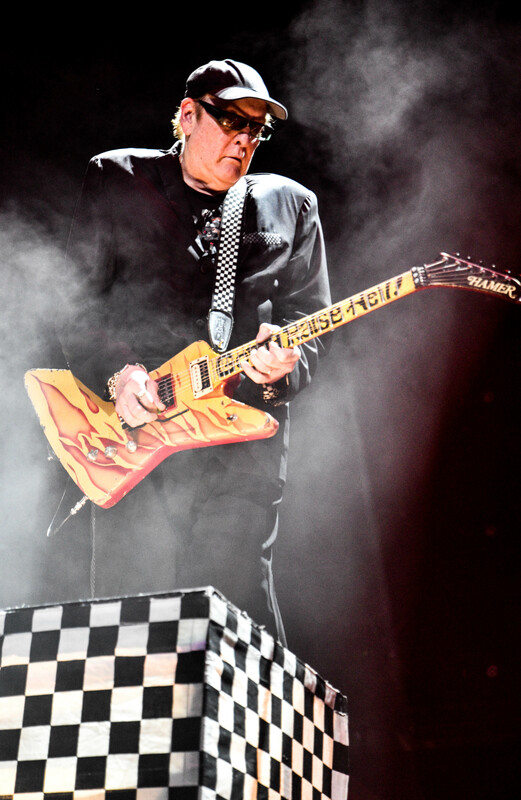 Led by guitarist Rick Nielsen, bassist Tom Petersson and vocalist Robin Zander, these guys know how to rock. 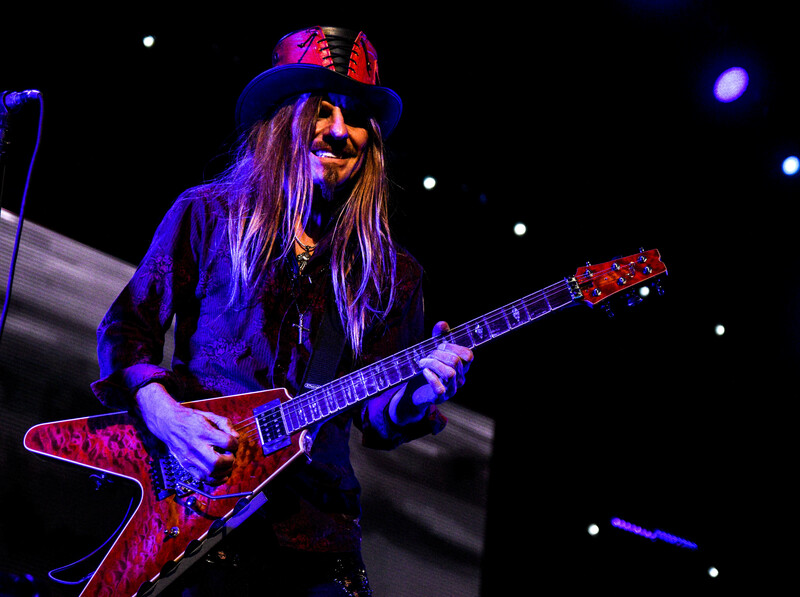 Rounding out the band were Daxx Nielsen, Rick’s son and Zander’s son on rhythm guitar, who was brought in to beef up the band’s sound. 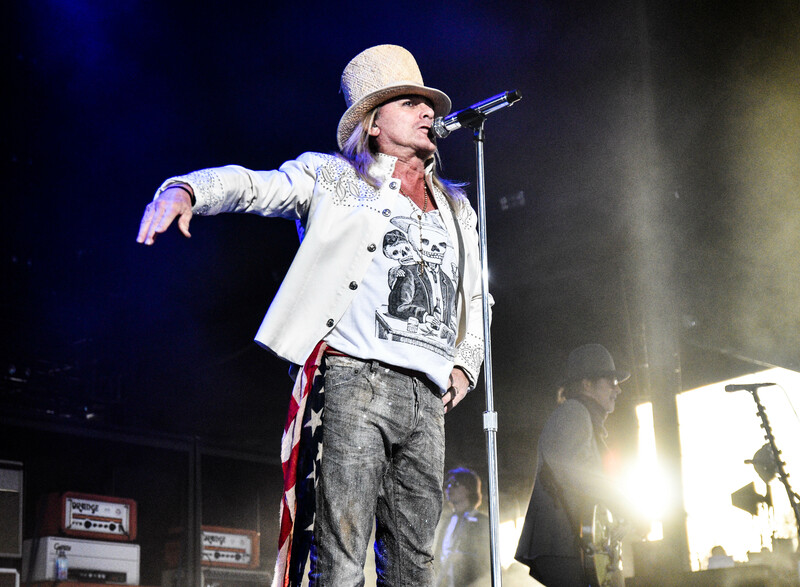 Highlights included “California Man”, new tune “The Summer Looks Good On You” and “I’m Waiting For The Man” which featured Petersson on lead vocals. 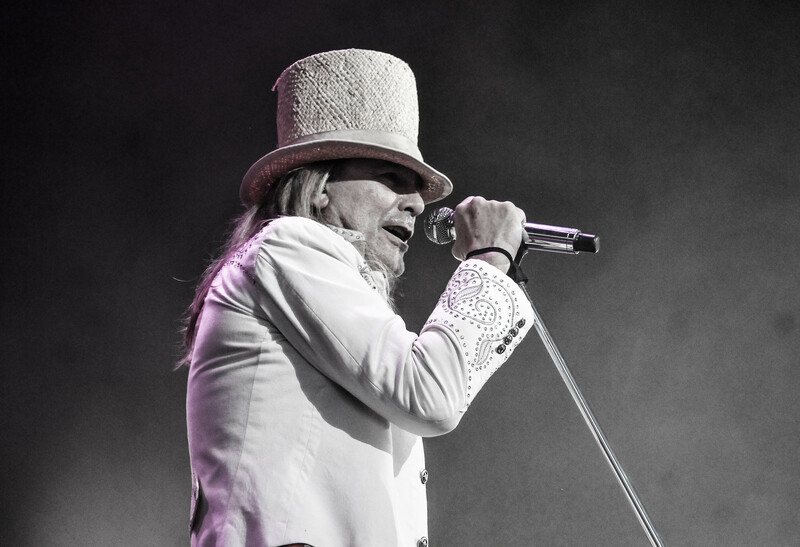 The best lead vocal of the night featured Robin Zander as he effortlessly went through the band’s chart topper “The Flame”. That had to be the best version I’ve heard to date. 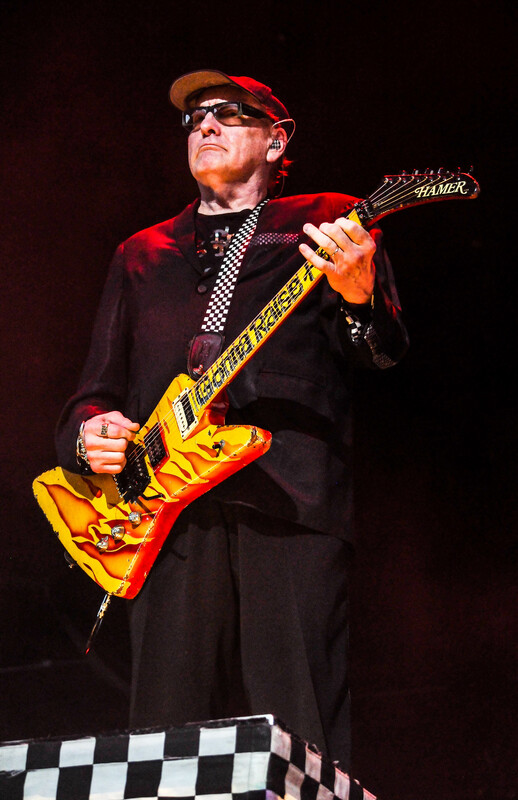 Even at 65-years old Zander can still hit those notes. An absolute stunning performance by the hall-of-famers. 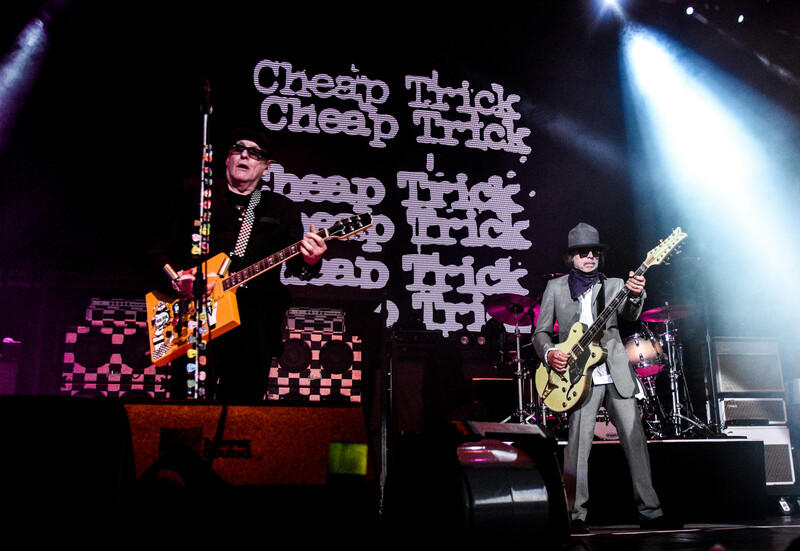 Cheap Trick have made a living out of constant touring while releasing a whopping 19 studio albums. They always seem to have a few memorable songs each album and have the luxury to pull from any one of those albums and surprise fans. They rarely ever play the same set twice in a row. 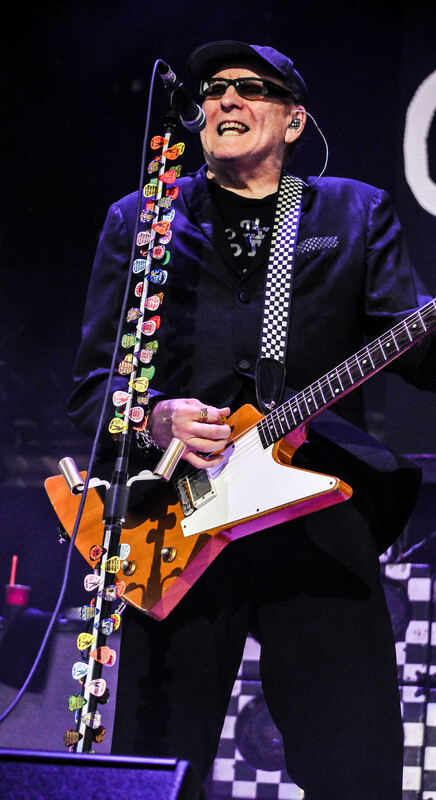 It is no wonder so many band cite Cheap Trick as an influence and look up to them. They are a travelling juke box that can create an exquisite ballad or can launch into something as raunchy as “Auf Wiedersehen”. 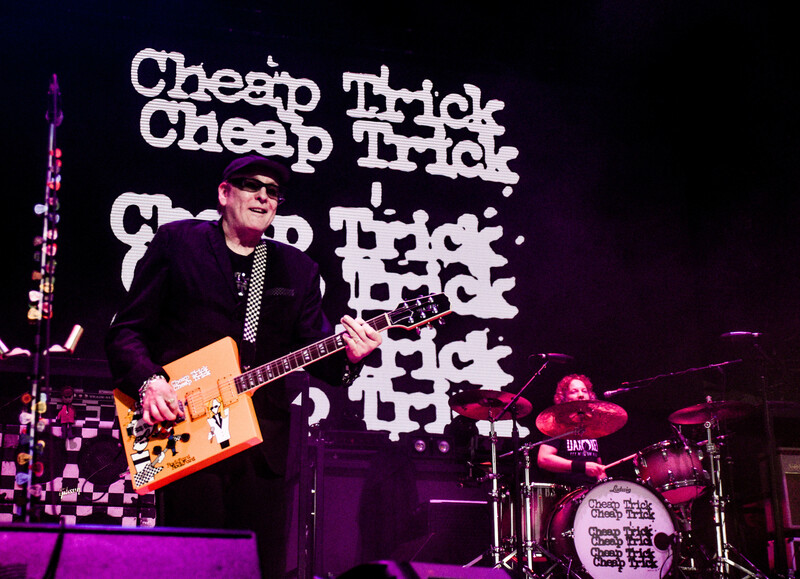 Not many bands can play the different styles with perfection like Cheap Trick. 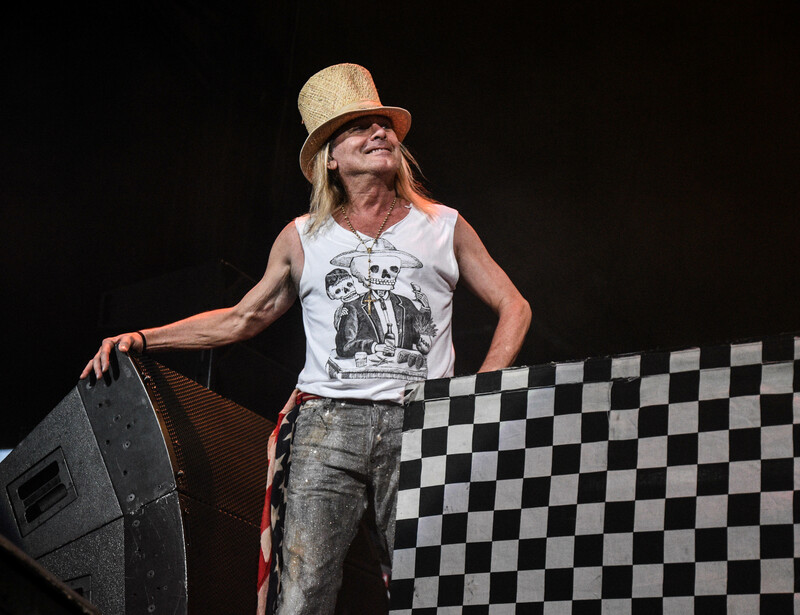 Poison and Cheap Trick brought their “A” game to Darien. Hopefully next time they can add a band that fits the mold a little better because Pop Evil was clearly out of their league.